Island Mazda of Staten Island, NY proudly introduces the all new 2017 Mazda CX-5 compact crossover. 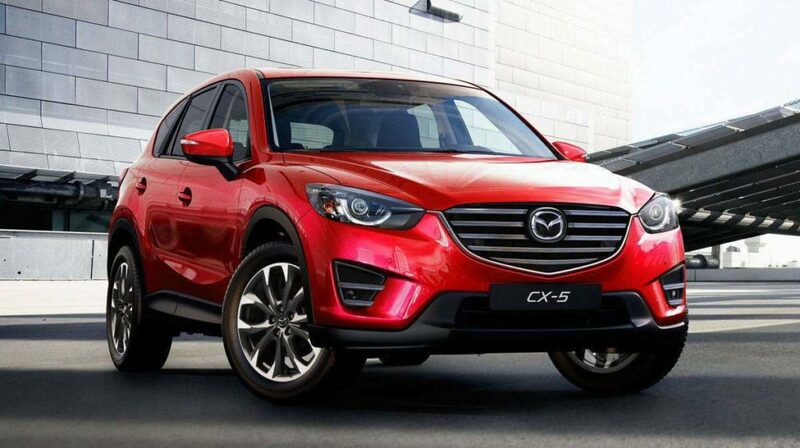 The Mazda CX-5 introduced the world to the Kodo design language in 2012. Not only was the CX-5 easy on the eyes, it was also a fun-to-drive breath of fresh air in a segment nearly devoid of excitement. A lot has changed in the compact crossover class since then, and the CX-5 is evolving to keep up with its competitors. The 2017 Mazda CX-5 is the first of a new generation but hasn’t strayed too far from the original. At first glance, you might think the 2017 Mazda CX-5 is just a refresh of the current model. The CX-5 was new for the 2013 model year and was even recently refreshed for 2016, so the CUV presumably still had some life left in it. But the 2017 CX-5 is fully redesigned, according to Mazda. Look closely at it from the side and you’ll notice the 2017 model’s more raked rear end and slimmer taillights. In front, the CX-5 sports sleeker headlights and the new corporate face we’ve seen on the CX-9 and Mazda3, with a chrome grille frame that outlines the bottom of the grille and spills into the headlights. Helping to accentuate the CX-5’s fresh lines is a new multi-layer Soul Red Crystal paint color. The exterior looks like a rehash of the current model, and it’s a similar story with the interior. The dash gets the free-standing infotainment screen we’ve seen on other Mazda models, and the HVAC vents now feature a different shape. Other than that, though, it appears the cabin design carries over from last year’s model. The new CX-5 was developed with the goal of creating a vehicle all can enjoy—even the passengers. The compact crossover gets Mazda’s corner-smoothing G-Vectoring Control for the driver’s enjoyment, but the cabin prioritizes passenger comfort and quietness. The powertrain lineup for North America will include the Skyactiv-G 2.0-liter and 2.5-liter gas engines, which make 155 hp and 184 hp, respectively, in the outgoing crossover. Mazda also lists the 2.2-liter Skyactiv-D diesel engine for North America. Stop by Island Mazda in Staten Island, NY today and come check out the all new fully redesigned 2017 Mazda CX-5 and take it for a test drive!